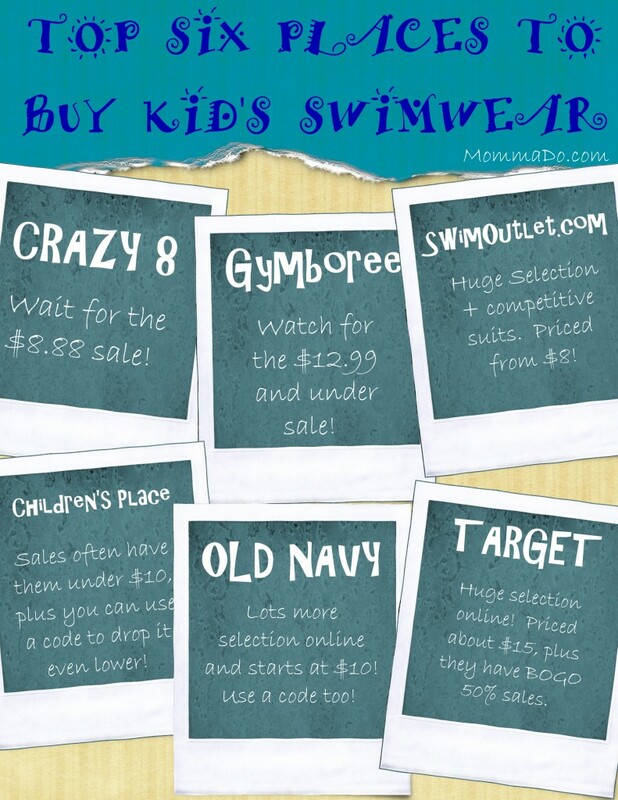 Looking for somewhere to find an inexpensive swimsuit for your ever-growing kiddos? Look no further. 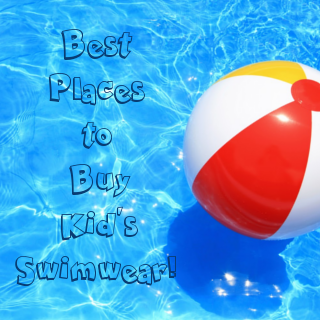 We have a great list with the top 6 places to buy swimwear, plus tips on how to get them even cheaper! Costco has quality swimwear, usually for about $15. Shopko hosts 50% off sales frequently that drop the price to around $15 as well. They offer free shipping often! Disney Store has swim sales frequently which drop the price on swimwear by 40% to around $17. Not bad for a character suit, plus you’ll find matching accessories on sale too. Academy has a better selection online than in the store, plus they start at just $12.99. Even better, shipping is free on orders over $25. Bonus!!! At $14.99, they have the best price on puddle jumpers that I have found!